Vacations in South India are meant to inspire a traveller with enriched moments spread throughout the peninsular region. 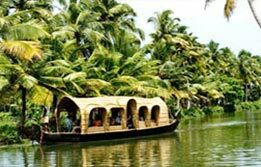 This journey, beginning from Mumbai, takes a traveller through the heritage strewn sites in Karnataka (Bangalore, Sravanabelgola, Belur, Halebid, Chikamangalur and Mysore), surreal delights of Kerala (Cochin, houseboat stay on the Alleppey and Kumarakom backwater stretch and Thekkady spice forests). 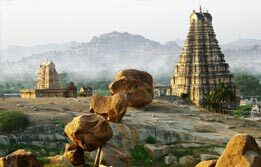 This intricate blend of exclusive experiences continues during the third and the last part of South India Vacation in Tamil Nadu's heritage landscape (Madurai, Chennai, Kanchipuram and Mahabalipuram). Upon arrival at Mumbai Airport, meet India Budget Tours representative who will assist the transfers to the accommodation in the country's most cosmopolitan city's for overnight stay. In the morning, cruise across Mumbai harbour to Elephanta Island and marvel at the sight of massive rock cut temple here. 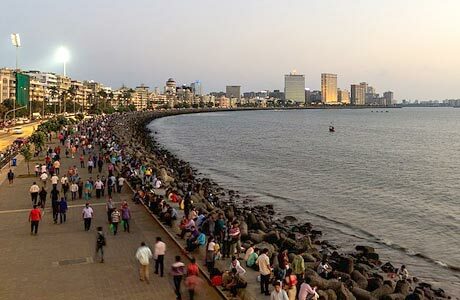 In the afternoon, begin a city tour of Mumbai via Gateway of India, Marine Drive, Victoria Terminus, Flora Fountain, Crawford Market, Nehru Planetarium, Kamala Nehru Park, Hanging Gardens, National Gallery of Modern Art and Chowpatty Beach. Overnight at hotel. In the morning, board a flight towards Bangalore (about 1 & 1/2 hrs fly), one of the most beautiful and well-planned cities of India. Upon arrival, check into hotel. 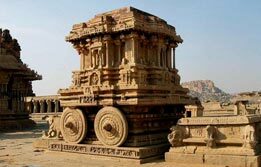 Continue Bangalore city tour via a visit to Bull Temple, Fort & Tippu's Palace, Lal Bagh Botanical Gardens, Venkatappa Art Gallery, Cubbon Park, Vidhana Soudha, Vishveswaraya Industrial and Technological Museum. Overnight in Bangalore. Move out of Bangalore and proceed towards Chikmagalur (251 km / 5 hrs). 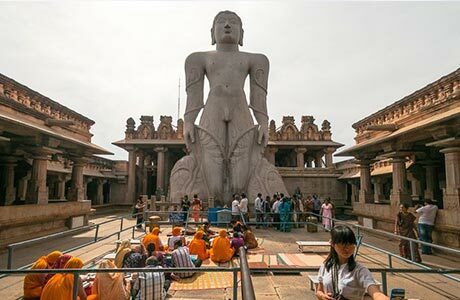 En route visit Shravanabelagola, one of the most important Jain Pilgrim centers worshipped for the tallest statue Lord Gomateshwara or Bahubali in India. Overnight in cool Chikmagalur. 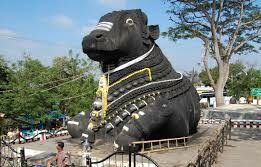 Check out Chikmagalur Drive to Mysore (140 km / 3 hrs). Stop enroute at Belur & Halebid, twin heritage towns of the region. Belur and Halebid boast of several superbly crafted temples. Chennakesava Temple, the glorious Hoysala temple of medieval period is still actively worshipped in Belur. 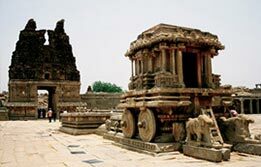 Halebid, the other splendid Hoysala town hosts Hoysaleshvara and Kedareshvara temples, featuring superbly exquisite carvings featuring elephants, lions, horsemen, and an incredible display of celestial beasts and birds. Reach Mysore and check in the hotel. In the evening, view the illuminated City Palace. Overnight in Mysore. 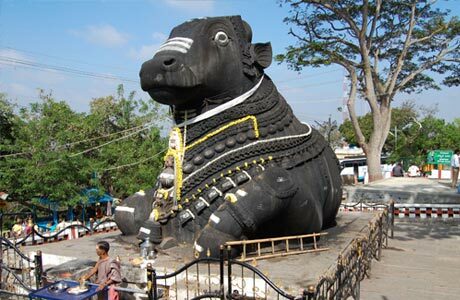 Begin the Mysore city tour in the morning with a visit to City Palace and Chamundi Hill, known for Nandi (Shiva's Bull) a huge monolithic statue is always held in great veneration among Hindus. Scout around the nearby aromatic spice markets. Afternoon is free at leisure. 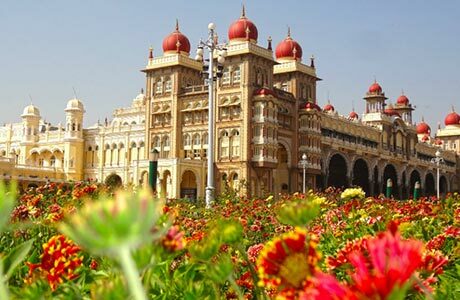 In the evening, drive 10 miles from Mysore and enjoy the beautiful and exquisitely illuminated Brindavan Gardens, sprawling amid gorgeous cascading fountains. Overnight in hotel. Drive to Bangalore (127 km / 3 hrs). En route stop at Srirangapatnam. 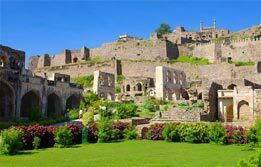 It was here that legendary warrior Tipu Sultan built his island fortress and Summer Palace. Visit the opulent summer palace. Upon arrival in Bangalore, connect overnight train to Cochin. Arrive Cochin / Kochi in the morning. Check into hotel. In the noon, visit Dutch Palace, Jewish Synagogue, St. Francis Church, Bolghatty Palace, Chinese Fishing Nets, Santacruz Cathedral (Basilica) etc. Enjoy the cultural evening with an enchanting Kathakali dance in the city cultural center. Overnight in Cochin. Check out Kochi for a drive towards Alleppey (70 km / 1½ hrs) and board the deluxe houseboat. Equipped with the comforts of all sorts, this houseboat is a vehicle which will assist tourists to explore the timeless backwaters and experience the serenity of all sorts in Kerala. Tourists will snake through the series of canals, lagoons and lakes cruising their way through several tiny hamlets and tropical vegetation. These backwaters not only bind the state of Kerala together, but are also play an integral role in maintaining the ecological balance and creating harmony with nature. 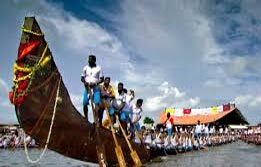 In fact, the network of backwaters is still considered as the lifeline of Kerala. Overnight in the houseboat. Leave houseboat via a jetty at Kumarakom around 10:00 AM. Check into hotel. In the afternoon, visit Kumarakom Bird Sanctuary. Located on the Vembanad Lake shore, this beautiful bird sanctuary is a host to many exotic birds of Kerala, including darter or snake bird, little cormorant, night heron, golden-backed woodpecker, crow pheasant, white-breasted water hen and tree pie. 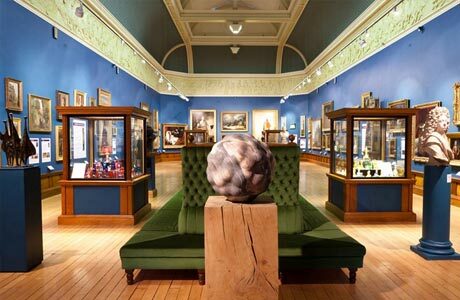 Stay in the sanctuary till evening and see the flock of birds returning to their nests. Overnight at hotel. The exploration during the South India Vacation continues as you travel to Thekkady (135 km / 4 hrs), located on the Tamil Nadu / Kerala Border. 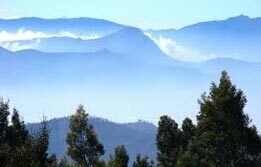 This is undoubtedly the most popular wildlife sanctuary of south India. Spread over 777 sq km, this wildlife sanctuary features a 26-sq-km artificial lake created by the British in 1895. Star attractions here include bison, sambar, wild boar, langur, 900â€“1000 elephants and 35â€“40 tigers. Jungle walks here are the most important attraction here. Overnight in Thekkady. This morning, begin a game viewing on board boats, which will carry tourists along convoluted waterways and afford sightings of elephants, bison, deer and occasionally tigers. This tropical habitat makes it one of the premiere reserves of southern India with all manner of flora and fauna in abundance. In the afternoon, drive to Madurai (136 km / 4 hrs). This is a bustling city packed with pilgrims, businessmen, bullock carts and legions of rickshaw pullers. In the evening, visit to the Meenakshi temple to witness the evening Puja ceremony. Overnight in hotel. This morning visit Shree Meenakshi Temple, a riotously baroque example of Dravidian architecture, Thirumalai Nayak Palace and the Gandhi Museum. Continue to Mariamman Teppakkulam Tank, site of the annual Float festival held in January. Evening board overnight train for Chennai. Arrive Chennai in the morning and check into hotel. Later enjoy an excursion to Kanchipuram, one of the seven sacred cities of India, which served as a capital for several dynasties. Visit three of the best temples-Kailasanatha and Ekambareshwara, dedicated to Lord Shiva, and Vaikuntaperumal dedicated to Lord Vishnu. Continue your excursion to the ancient Pallavan port of Mamallapuram, en route stop for lunch at a seaside resort. Later, visit the 7th-century rock hewn monuments. The shore temple, the only surviving one of seven, is a unique example of a temple built of rock quarried elsewhere and carried to shore. Room on twin sharing basis at each place as per itinerary for total 14 nights (02 Nights on train, 01 Night on Houseboat and 11 nights at hotels). Hotel check in / out 12:00 hrs. Aircon Standard Car for all transfer and sightseeing as per the itinerary. Kathakali dance show show at Cochin. Entry fee & boat ride charge, and Spice plantation tour at Periyar.